Three students from the Long Beach Unified School District earned first place honors at the recent Los Angeles County Office of Education Art Exhibit. Stephens Middle School student Josue Vaca won first place in the middle school category. Millikan High School students Jennifer Kovacs and Eric Garcia earned top honors in the high school category. 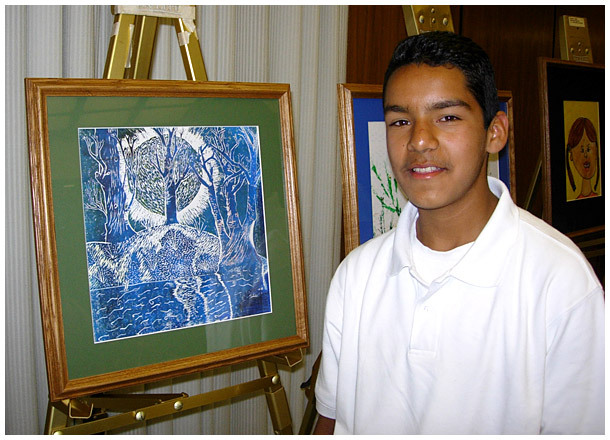 WORK OF ART -- Stephens Middle School student Josue Vaca poses with his award-winning artwork.